"​I love the word NOURISH! Food is meant to nourish us, to give us energy, make us feel good and provide the nutrients we need to survive! We should feel good after we eat! If we feel sluggish, tired, bloated and sick after eating, then it’s time to make some changes!" ​A little about my journey to a healthy lifestyle…. ​I was born and raised in a small town in Ohio and lived there until I was 19. I fortunately had a very healthy childhood without any major aliments. Aside from a broken arm from roller skating, a chipped tooth from a bike accident (which led to a root canal) and a gymnastics fall which led to some physical therapy, I was overall pretty healthy. I guess I was a little accident prone in my sporting activities! As for my eating habits, my mom made regular home cooked meals and always included fresh fruits and vegetables. I remember she used to sneak wheat germ in our pancakes and had many other healthy tricks! I did have typical junk food as a teen, such as, French fries, ice cream bars, chips, and pizza but regardless, I developed good eating habits and always tried to make good food choices. Family meals were always important in our family. My parents always made sure that we all sat down as a family at the end of the day to gather around the table and have a meal together. ​I moved to Las Vegas in October 1992 and have resided there ever since! In my 20’s, I had some minor health issues. My mom introduced me to a few health books, “The Prescription for Healing” and “Back to Eden,” and this is when I first learned that I could heal myself with food. I immediately started eliminating foods from my diet, such as dairy products that had caused some digestive distress, and then I later removed chicken and meat since I never felt good after eating these foods. This led me into an entire journey of learning all about healthy, nourishing food, cooking and lifestyle choices, such as yoga and meditation. I made the switch to a plant-based diet which includes fruits, vegetables, grains, nuts, seeds and legumes. ​My husband Spencer of 12 years has always encouraged my love of healthy food! He insisted we start an edible garden even though I knew nothing about growing vegetables!! I am now so passionate about growing our own food and love having a backyard garden. He is a great taste tester and food critic and always has encouraged me to follow my passions. We share the love for the outdoors as being active is a huge part of a healthy lifestyle! 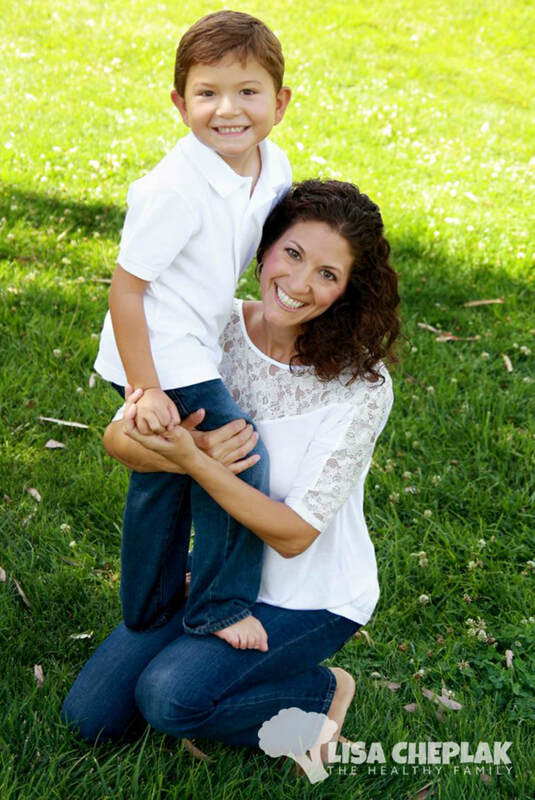 ​My journey into motherhood began when I was pregnant in 2007. I loved studying everything I could about having a healthy pregnancy and making sure I had the right nourishment for my baby and me. This was an exciting time as I had always wanted to be a mom and was so enthusiastic for this new journey! I discovered once again that my body was well nourished and thrived on wholesome, plant-based foods. I had a healthy pregnancy, exercised daily and adopted a daily mediation practice. All of this, along with an awesome support team, helped me with my goal of having a non-medicated homebirth. 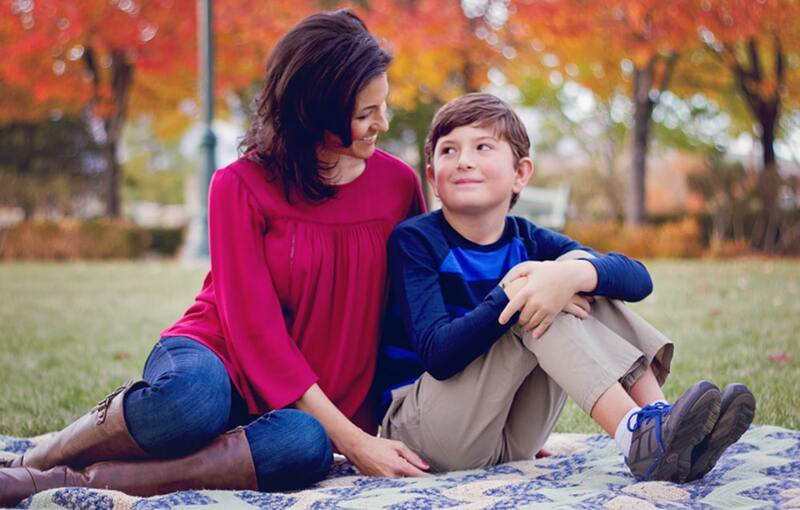 Our son Luke was born in March 2008 and he has been such a blessing. I breastfed him for an extended period of time knowing this was the greatest nourishment I could give to him. I enjoyed making homemade baby food and preparing healthy meals for him. I loved giving my son this healthy start in life! ​As my interest for health and nutrition grew, my desire for helping others did too. I studied at the Institute for Integrative Nutrition (IIN) and received my Integrative Nutrition Health Coach certification in November 2016. At IIN, I learned innovative coaching methods, practical lifestyle management techniques, and over 100 dietary theories; everything Ayurveda, gluten-free, and Paleo, to raw, vegan, and macrobiotics, and everything in between. 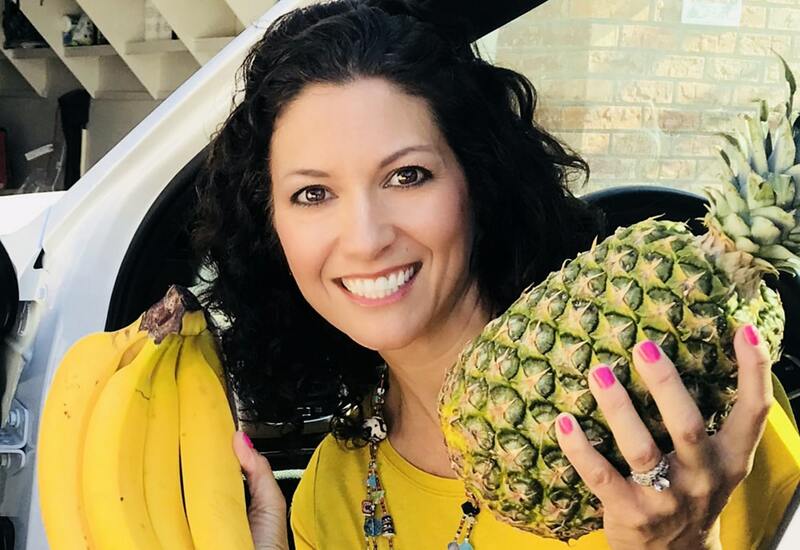 ​With my passion for health and wellness, children’s nutrition and school gardens, I started working with a non-profit, Green Our Planet, in September 2017, which is the largest school garden company in the United States. ​I currently mange the Chef-to-School program where I teach hundreds of students throughout Clark County School District how to create healthy meals using the produce from their school garden. 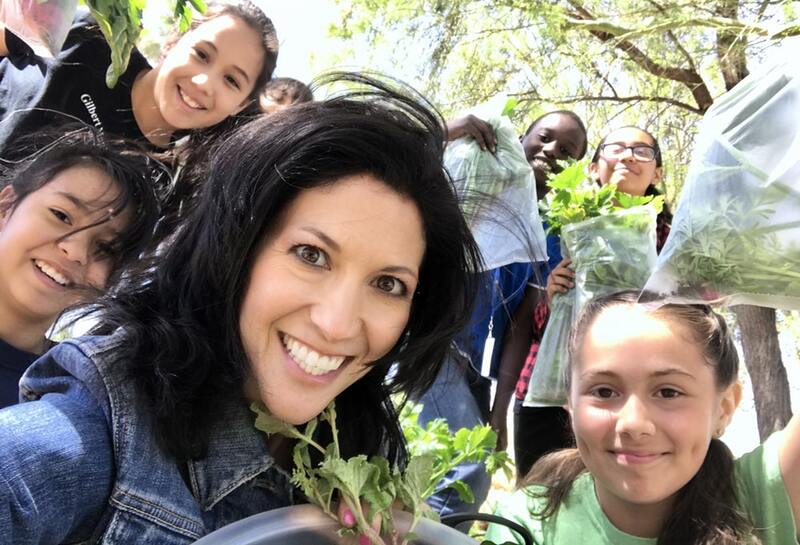 I also work with local chefs throughout the Las Vegas community who also come into the schools to teach students how to make garden-to-table meals. Students learn about the benefits of eating fresh fruits and vegetables and ​are always so enthusiastic about it! Yes, kids can LOVE fruits and vegetables! ​I truly believe the quote “Let food be thy medicine and thy medicine be thy food”, Hippocrates. I love sharing with others the knowledge that I have learned over the years of healing through foods and lifestyle choices. We all have a common goal, to live a full, healthy, good life! If your food, living environment and lifestyle choices are not nourishing you, then now is the time to make some changes. I love this journey that I have been on and love everything I have learned about healthy living and I am ready to help others achieve the good health that everyone deserves! ​Thank you for visiting my site and please let me know how I can help you on your journey!